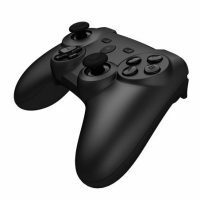 This joystick was ordered for the use with the TV box Nexbox A95x. 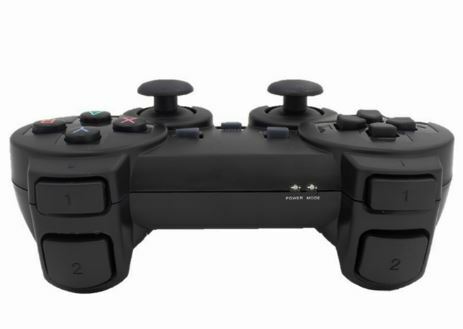 It is one of the cheapest gamepads, the price is about 8-10 dollars.In its design, the gamepad is a copy of the joystick for PlayStation 2. 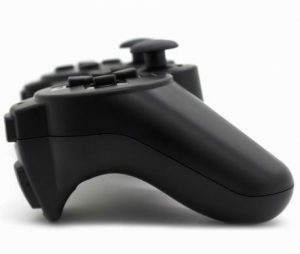 The gamepad should not be expected to have high quality materials at such a low price. 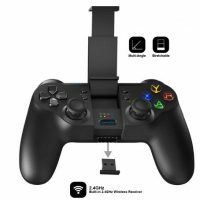 The package includes the joystick itself, a wireless adapter running at 2.4GHz,besides, the seller put a rubber overlay on the stick and otg usb adapter as a bonus. Let’s begin from the disadvantages. The case is made of ordinary plastic, it creaks a little, the buttons work more or less, as it turned out during the operation, one of the buttons works only when pressed hard enough, and one of the sticks began to creak noticeably, which can sometimes be quite annoying. The battery cover proved to be unreliable- it opens at the slightest drop. What are the gadget’s advantages, does the device have them? 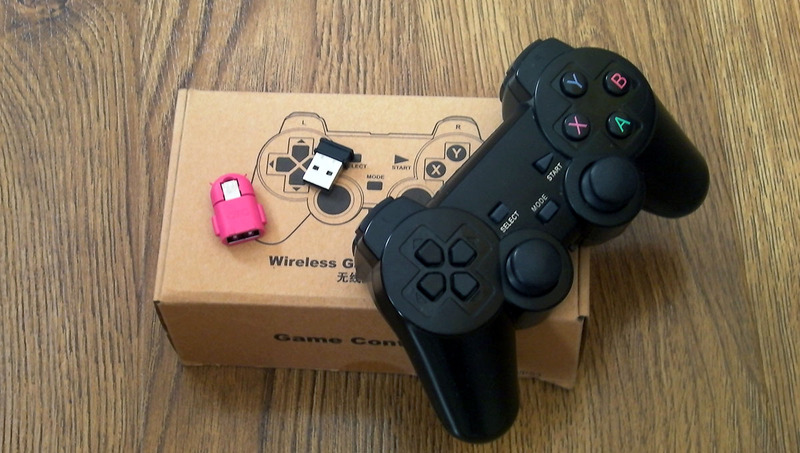 This gamepad can be easily used on Android, Windows, and Sony PlayStation 3.Due to the presence of a wireless receiver in the kit, the gamepad can be connected to a tv Box, a phone and a tablet. You do not need to change any settings on the device, just plug the receiver into the USB port, turn on the joystick and wait for their connection. Similarly, the gamepad is connected to a Windows computer. In case some problems occur with the connection, then the joystick has an alternative PC 360 mode. 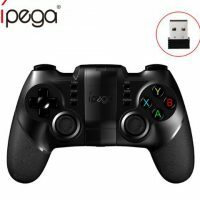 To enter that mode you need to press the Mode button and after the 5 second LEDs blinking., the joystick will go into this mode and you can easily use it in any games supporting the control of the gamepad from Xbox 360. The range of this joystick is about 2-3 meters, the LEDs on the front of the joystick flash with the loss of communication. 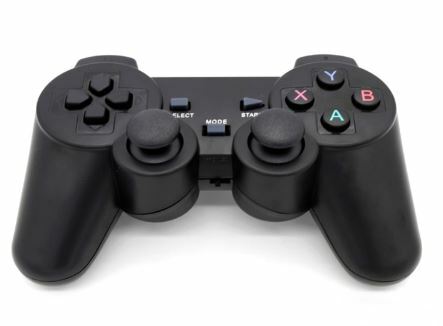 In idle mode, in 5 minutes, the joystick will automatically enter sleep mode, to wake it up, press the Mode button. The gamepad powered by two AAA size batteries- they work for quite a long time, about a month.If you need to change the batteries, the gamepad will make two LEDs flashing signals. During the normal operation, one of the LEDs will be it. 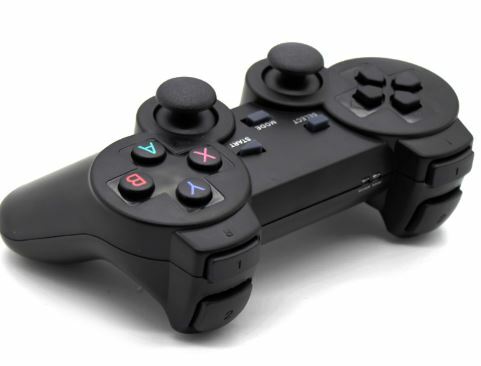 The joystick perfectly copes with the control in arcades and various platformers, there are no delays or lags. 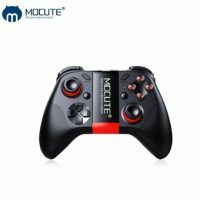 Definitely you will not be able to play with it in all games, because many games often do not have support for such controllers, these games are made either for a mouse control or have a touch control. If you have a larger budget, it’s better to choose the more expensive models, which are made of better plastic, there are additional advantages, such as vibration motors and a gyroscope. If you are limited in means, then you can purchase this model. You can also play all games beginning from Dendy, Sega, Nintendo console emulators to any modern games on your PC or Android games.